Hiking and outdoor Rondane Sør map (South). 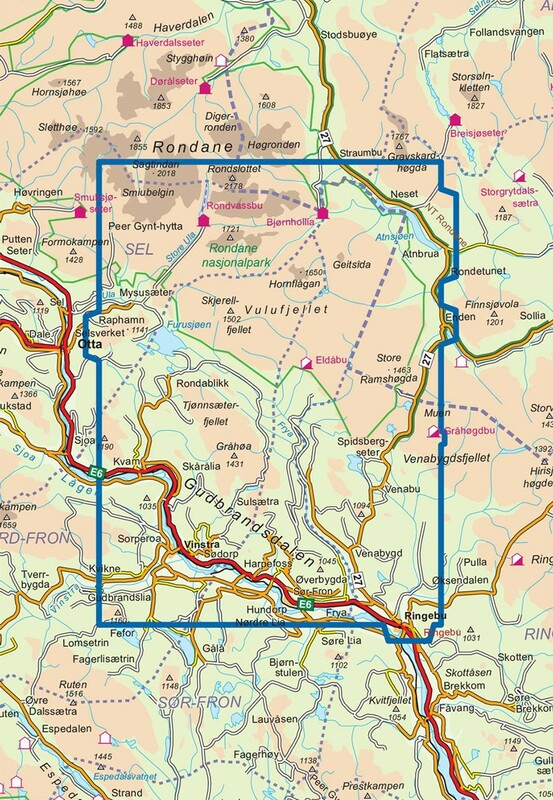 The map covers the area Rondvassbu and Vinstra. 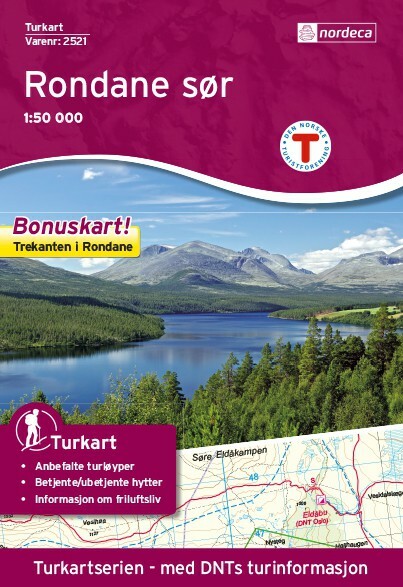 The Rondane Sør map is compatible with the GPS (UTM grid).